Want to know how to make quick friends in the retail industry, and maybe even keep rents reasonable at the same time? Have you given much thought to what is arguably the most important metric in retail attraction – the sales volumes that retailers can realistically achieve in your district? This data is like the holy grail – everyone is looking for it but very few people know how to find it. Brokers need this information to attract retailers. Retailers need this information to understand what kinds of rent can be supported, and property owners need this information to know what kinds of rents are rooted in reality when setting rental rates. In the commercial real estate industry, the term used to describe and measure a retailer’s sales is known as sales per square foot. This “apples to apples” metrics allows us compare and contrast sales figures between markets and retailers. To give you a point of reference, sales productivity in 2015 for non-anchor tenants in U.S. Malls was $474 psf annually. To put this in context, base rent to sales ratio varies from 4-30% depending on the type of business, but for most retailers, base rent should be no more than 5% to 10% of annual gross sales. Assuming a retailer making $474 psf is paying 10% of their sales to rent, their rent would come to $47.40 psf annually. It is helpful to keep in mind that in some markets rent has very little to do with how profitable the actual location is. Retailers treat these locations as extensions of their brand, and they will pay what amounts to a marketing fee for what they consider critical brand recognition. 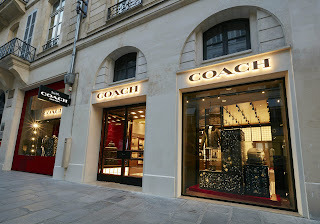 For example, along 5th Avenue in New York, one of the world’s most coveted retail address, the bag maker Coach recently signed a lease for $4,000 dollars a square foot. That is a big number – a REALLY big number. In fact, not a single publicly traded retailer, with the exception of Apple stores with an estimated $5,626 sales per square foot, sells enough of anything to pay rent levels that high. Not even Tiffany & Co., which is the second most profitable retailer at $2,974 per square foot. But I digress…most districts are not vying for retailers who can pay these kinds of rents. 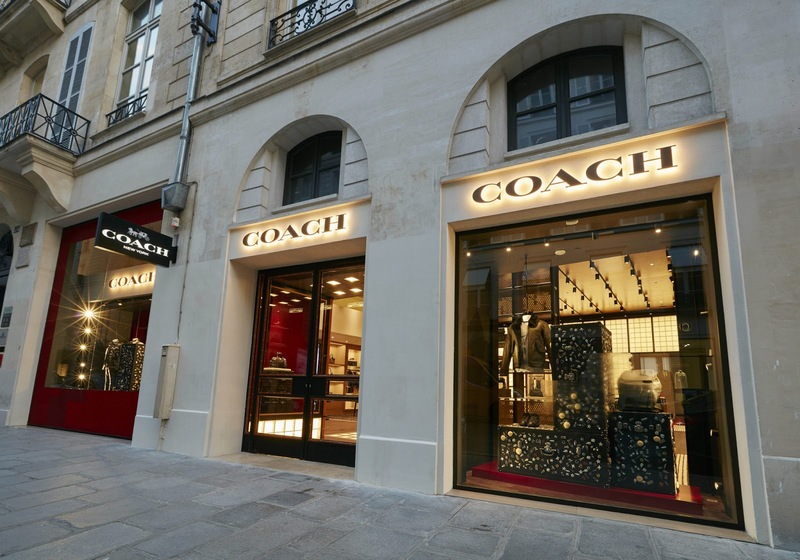 The Coach flagship store on 5th Avenue is paying $4,000/sf in rent. Do you think the sales at this location can support that? What kind of rent is reasonable? So what kinds of rents are fair game, and how can you tell whether your landlords are asking rents that make sense and will allow a retailer to make a profit? Let’s consider Marshall’s on 125th Street in Harlem, NY. Reported annual sales are $33.9 million dollars spread over 57,000 square feet. This comes to $595/sf in sales. Assuming that Marshall’s is paying between 10% to 15% of sales on rent, their ideal rent would fall in the $53 to $80 dollar range. When Harlem Center where Marshall’s is currently located was signing initial leases in 2002, the landlord was asking between $80-100/sf for the ground floor. Marshall’s, located on an upper floor is undoubtedly paying less, putting the rent in the 10-15% ratio sweet spot. Well, the good news is that this information can be found for publicly traded companies. InfoUSA is the go to source for sales volume figures. Both ESRI and Claritas use InfoUSA for their business list data. However, private retailers are not obligated to share this information. For most of the districts we work in that means there is no sales data of which to speak. Instead, what both ESRI and Claritas do is model estimated sales figures for these privately owned businesses based on sample business data for millions of other retailers. While is is generally OK, in some cases this ends up giving you clearly inaccurate information. For one high end apparel brand in a flagship district where rents have peaked at $1000/sf we were given an annual sales figure that hovered around $278/sf. Unbelievable and highly unlikely, especially when other similar retailers report selling up to $1,500/sf. But then the algorithm that ESRI uses did not take into account the unique characteristics of this store and its hyper luxury nature. They treated it like any other apparel store and spit out data that wasn’t commensurate with what we know and can determine from what we see. Overcoming this information gap takes perseverance. It means asking businesses, brokers and property owners what kinds of annual sales their stores are doing. It means keeping a spreadsheet of this primary data alongside the SF of each store and maintaining calculations that keep you informed. This alone will make you and your organization an invaluable resource to your retail real estate partners.